The wheelchair is a best option for disabled people to move along sidewalks and roads. Most buildings have wheelchair pathways or elevators to move between the floors. The problem arises when you have to get somewhere, and stairs are the only way to reach your desired destination. 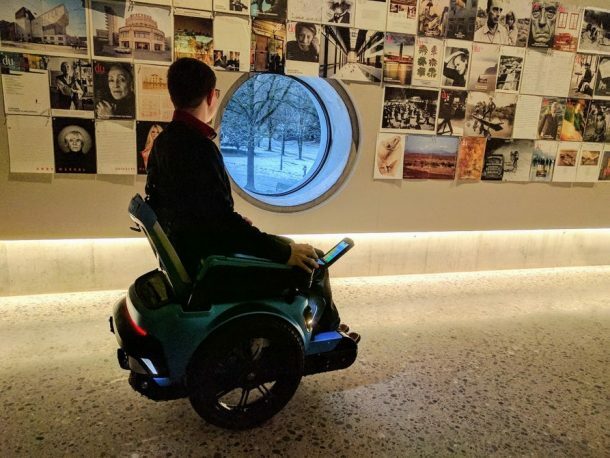 Designers have been trying to work around this issue by making wheelchairs that can climb stairs. 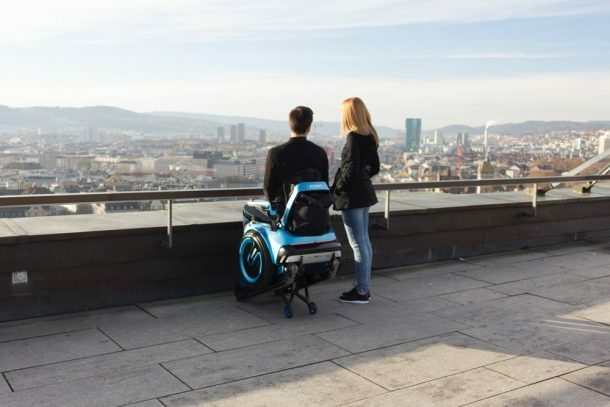 A team in Zurich found a solution and created SCEWO, a sleek and stylish stair-climbing wheelchair. This team launched the original prototype in 2015, and named it Scalevo. The wheelchair used two big Segway-like wheels to maintain balance while navigating on the ground. The chair used to drop a set of rubber tracks to navigate up the stairs. The team then improved the design to make a sleeker and refined version; SCEWO. 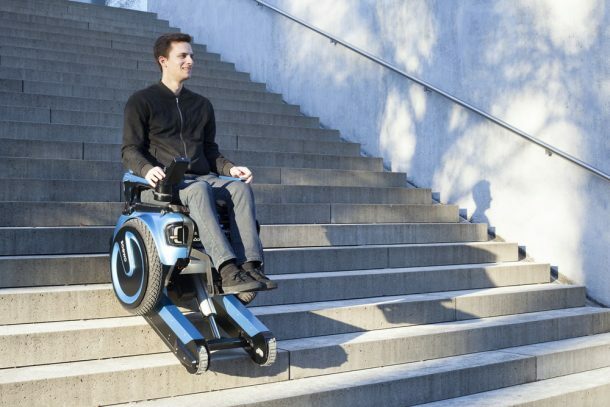 The second generation design is a step further to a commercially available product that might give you a feel of being Charles Xavier from the X-Men. 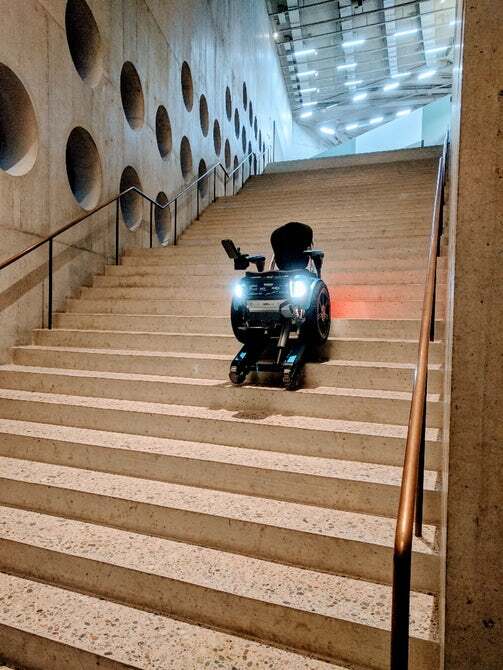 The SCEWO wheelchair releases rubber tracks at the push of a button which help the user to go up or down on a stairway quickly. Even cooler than the stair climbing feature is its Elevated Mode. How many times does it bother you when you have to communicate with a person standing up, and they either have to bend down, or the communication becomes quite uncomfortable? The Elevated Mode allows the chair to lift up while providing eye-to-eye contact with a standing person. It can even provide you quick and easy access to the objects placed at elevated heights. Thus, minimising your dependence on other people to boost your confidence. The SCEWO allows you to lower the rubber tracks for a better grip on the slippery surfaces. The team is raising funds to develop the market-ready prototype by the end of 2018. Until then, there are a couple more years to tolerate your old-styled regular wheelchair. Watch the amazing SCEWO in the video below. Please send me info with price for wheel chair that can climb in spiral stairs.